Yes, it looks like us old guys have been given hope thanks to Meb Keflezighi who, at 38 years old, won the Boston Marathon on Monday. 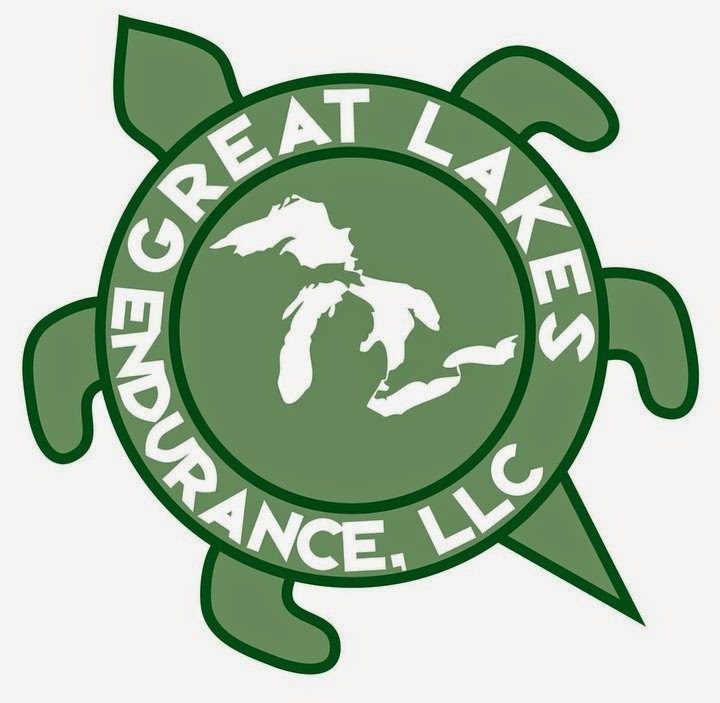 Oh, not that I think that I'll personally get that much faster but it just goes to show you what you can achieve with a commitment to the sport. Ok, it might help if you have good genes too. 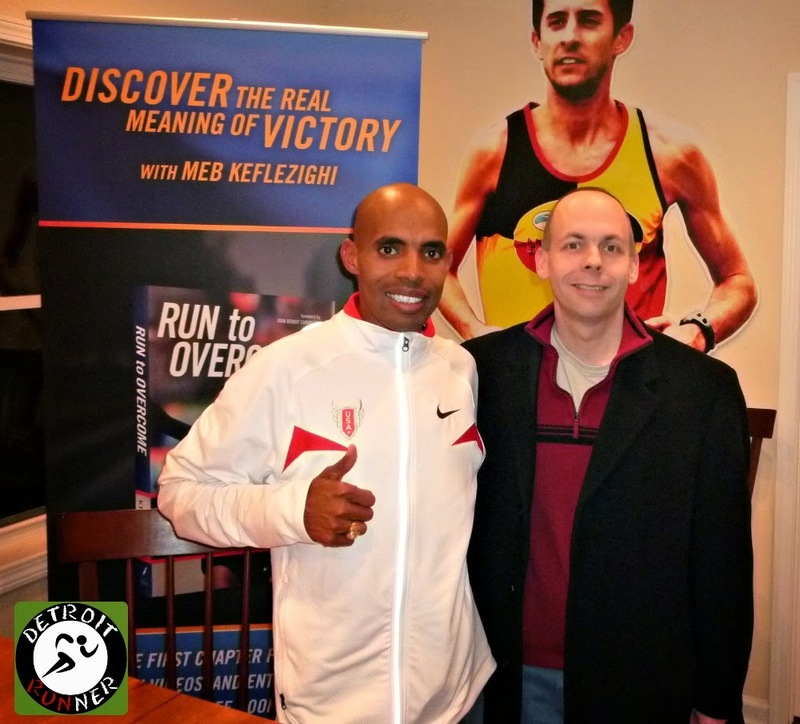 Did I ever mention that I met Meb back in 2010? Yes, I sure did and what a nice down to earth guy he is. He was at a Hanson's event signing his book, "Run to Overcome" Sincerely a very nice gentleman and very humble for all that he has accomplished. He even brought his medals from the 2004 Olympics where he won Silver in the marathon and he brought his winners medal for his 2009 win at the NYC marathon. Of course, he was promoting his book which is a good read if you have not read it yet. It's great to not only see such a nice guy win Boston but it's great that he brought America back into it. Something we have not managed to do since 1983. I can't wait to see what the future holds for him as he goes into his 40's. While I have not tried Sketchers for running, it looks like they certainly made a good move signing Meb into a contract through 2016. This sure will give Skechers more credibility. 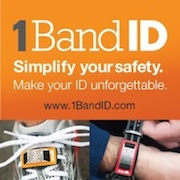 If you were not convinced in their performance for running shoes, you might be now. The shoes have certainly been gaining more and more attention over the last few years since signing him. Way to go Meb! 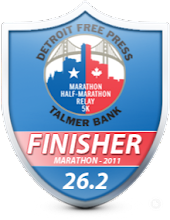 Thanks for helping keep us old guys on the marathon map. 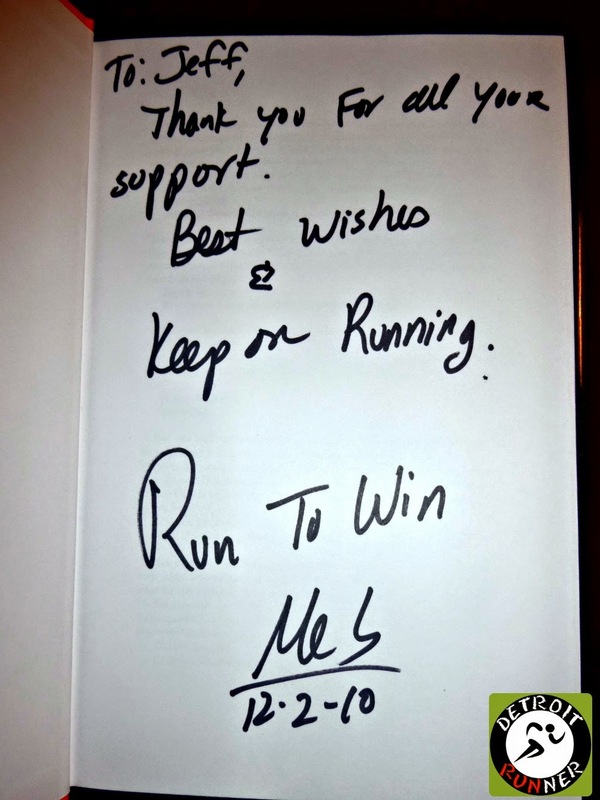 I'll have to check out Meb's book one of these days - I really like his outlook and attitude. I have a coworker who continues to PR beyond his mid-40s. It can be done! As for Skechers, I'm on my second pair of GoRun Ride and they're very comfortable. It sure is nice that they're about half the price of some of my other shoes. I've mostly used them for shorter runs and I'm not sure yet if they're ideal for longer runs for me. I do really like running in them though. 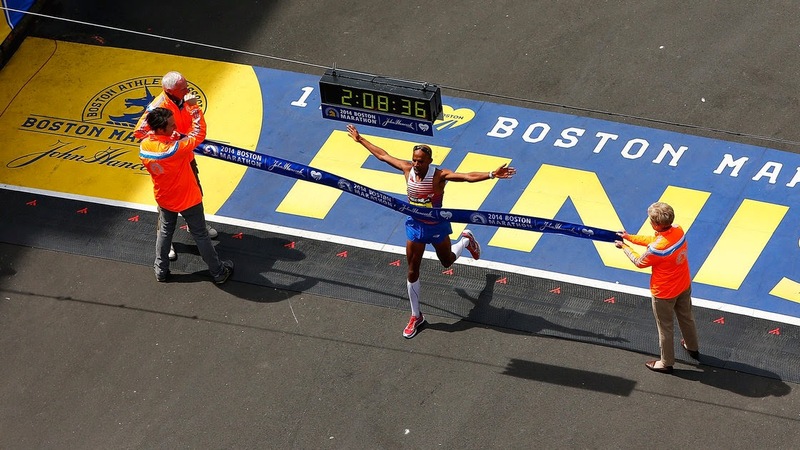 Meb's win was just amazing! I've been a fan of his for a long time - so cool you got to meet him! I still need to read his book. Gives all us old folks hope!! I agree us old guys can do it! Last saturday Hendrik Ramaala, former New York marathon winner (2004), came 2nd in the 56km Two Oceans Marathon here in South Africa. He says he can still run 2:10 for the marathon at age 42.